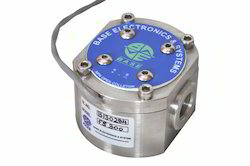 The oval gear flow meter is a kind of Positive Displacement Flow Meter. Two oval gears interlocked and displaced by 90° in the meter housing are rotated by the flowing fluid. By means of the two oval gears a defined fluid volume "in portions" is transported. The magnets placed on the rotors are also rotated. A reed contact fitted outside of the measuring chamber records the magnetic impulses produced. The volume of the flowing fluid is determined by the number of impulses recorded. 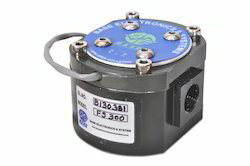 A sensor detects the gear rotation to determine displaced volume and flow rate. We are designed Oval Gear meters to function in applications that require an accurate volume dispense measurement in water solutions or any other liquid substance. Main applications include unloading, transfer and consumption monitoring. The flow measuring unit consists of two highly precise meshing oval gears. The liquid flow causes the rotation of these gears. The exact liquid volume moved through the meter at one revolution is defined by the geometry of the measuring chamber. The rotation is picked-up by a sensing element. Material: Stainless steel version, threaded. Aluminium version, flanged. Oval gear types Volumetric flow rate or total flow measurement Applicable for fluids such as lubrication oils, mineral oils, hydraulic oils, fuels, liquefied gases and others liquids, Flanged or threaded process connections.